Apple TV remote is getting a trackpad this summer. Apple has been gearing up to launch a redesigned Apple TV to go with its rumored streaming service, and a new report claims the new black box will also include a redesigned TV remote with a trackpad. According to the New York Times, Apple is planning to launch its new TV box with the remote this summer. “The remote control will gain a touch pad and also be slightly thicker than the current version,” says the New York Time’s source at Apple who was briefed on the product. Two physical buttons will accompany the touch pad that can be used for scrolling around. The extra thickness being added to the remote will make it comparable in size to Amazon’s remote for the Echo. Adding a trackpad would be the biggest change to hit the Apple remote since it debuted with the Apple TV in 2007. 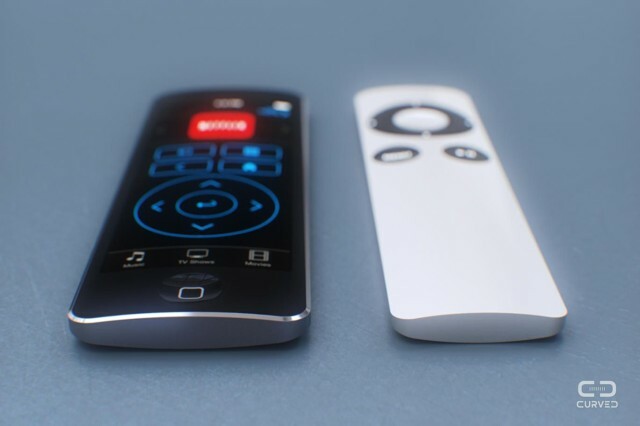 The simplistic remote has been used in case study’s at Apple University, highlighting how Apple designers stripped down the TV remote to the most essential elements. Despite its perfect simplicity, it’ll be much quicker to navigate through Apple’s growing content lineup with a little Force Touch Magic Trackpad. Full details of the new Apple TV and its accompanying streaming service will supposedly be announced at WWDC in June. A redesign of the Beats Music service is also expected to be announced at the event, along with previews of iOS 9 and OS X 10.11. This entry was posted in iRumors and tagged Apple TV, Apple TV remote, irumors, iRumorsnow. Bookmark the permalink. Urban Armor Gear, the military-spec iPhone & iPad cases dropped from space.